The 9th Annual Nordic Private Capital Day will bring together more than 260 delegates of the leading investors and funds in the world. We are looking forward to seeing you! 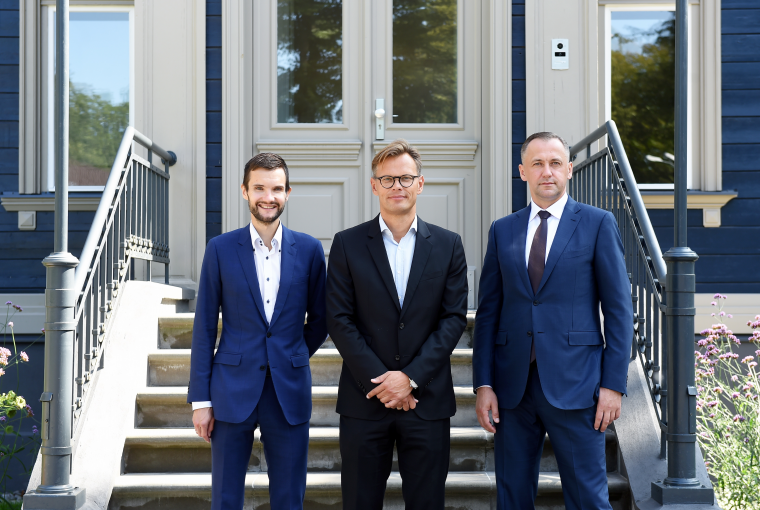 One of the most experienced venture capital fund managers in the Baltic States, ZGI Capital, has attracted private investments of 10 million EUR to the newly founded capital growth fund ZGI-4. At present, it is the largest private investment raising in Latvia for a state co-financed capital growth fund. The largest amount, or 7.5 million EUR, was invested in the ZGI-4 fund by Swedbank Ieguldījumu Pārvaldes Sabiedrība AS, which will increase its contribution to 11 million EUR as other investors are involved. It is planned that the new fund will invest both in the traditional industries of the Baltic States, and in the so-called new sectors of the economy, such as fintech companies. The total amount of the new growth fund ZGI-4 will be 25 million EUR, of which 15 million EUR will be financed by Development Finance Institution ALTUM from the resources of the European Regional Development Fund (ERDF), and 10 million or 40% of the total fund will be private sector investments, from of which 7.5 million are invested by Swedbank Ieguldījumu Pārvaldes Sabiedrība, and 2.5 million EUR by the Central Europe insurer Balcia Insurance SE founded in Latvia and other private investors. Upon completion of attracting private capital, the fund manager ZGI Capital will be able to start work on the first investments. The volume of investments into one enterprise will amount to 3.75 million EUR. 75% of investments are planned for Latvian companies, and for the diversification of the portfolio 25% of investments can be made in companies of other countries of the European Union. ZGI Capital has extensive experience in investments in metal processing, woodworking, logistics, information technology, engineering, export of services, etc. The manager of alternative investment funds ZGI Capital, four years in a row awarded with the annual award of the Latvian Association of Private and Venture Funds, was selected as the growth venture capital manager within the ALTUM procurement process at the end of 2017. 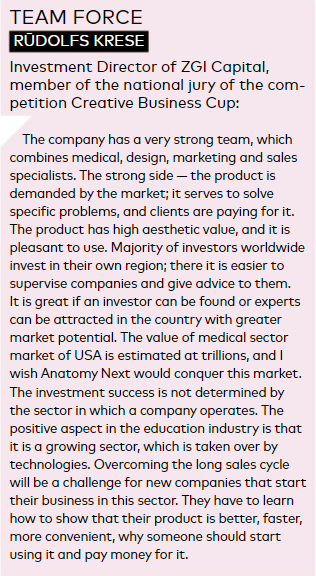 Juris Vaskāns, Member of the Board of ALTUM: "Attracting private investments of 10 million EUR to a venture capital fund financed by ALTUM is a very important event for the whole venture capital industry. This, of course, is an indicator of trust and a positive signal to other private investors who are considering investment opportunities in Latvia. We are especially pleased that the largest investor in our venture capital fund is Swedbank Ieguldījumu Pārvaldes Sabiedrība, placing pension fund plans in alternative investment funds, which is already widely practiced thoughout the world. The synergy between ALTUM, Swedbank Ieguldījumu Pārvaldes Sabiedrba and other private investors in the ZGI-4 fund will provide an opportunity for the growth and development of companies with high growth potential, while traditional financiers refrain from investing in them due to high risks." Pēteris Stepiņš, CEO, Swedbank Ieguldījumu Pārvaldes Sabiedrība AS: "We have successfully completed our painstaking work on choosing a fund that lasted more than half a year, with countless hours spent on the evaluation of the fund, in-depth study, interviews and discussions with the teams of ZGI Capital and ALTUM. These investments are an excellent addition to our local investment portfolio in Latvia and the Baltic States, which is an integral part of our investment strategy. We believe that long-term local investment can beat impersonal global investment. Therefore, we expect that ZGI Capital's active role in the selection and provision of financing for innovative companies will not only give a good return for our customers, but will also be a healthy incentive for the development of venture capital and innovative enterprise ecosystems." Normunds Igolnieks, leading partner of ZGI Capital: "First of all, we would like to thank for the trust our investors - ALTUM, the largest manager of the Swedbank pension fund, Central Europe insurer Balcia Insurance SE founded in Latvia and other private investors. We will use the gained experience of managing the fund of the fourth generation to get additional capital from investors and support local entrepreneurs, providing the necessary capital for future growth. We will invest in small and medium-sized enterprises that have entrenched in the domestic market and enter new export markets, mastering new innovative products or technologies, building up capacities, developing new lines of business, increasing profitability or automating the corporate processes. Currently, the first round of attracting fund investors is taking place. The fund starts its work, and our goal is to attract additional private investors within the next 12-24 months and increase the fund's assets to 35 million EUR." Swedbank Ieguldījumu Pārvaldes Sabiedrība AS is the largest manager of the 2nd pension pillar in Latvia: as of August 21, 2013, the number of participants in the 2nd pension pillar managed by the company has already exceeded 542,000 people, and the amount of assets managed has exceeded 1.49 billion EUR. The company also manages the 3rd pension pillar plans. Swedbank pension pillars have been awarded the Investment and Pensions Europe awards as the best in various categories in Central and Eastern Europe. Investment and Pensions Europe (IPE) recognized Swedbank's 2nd pillar pension plan Dinamika as the best in Central and Eastern Europe in 2013, 2016 and 2017, and the Swedbank’s 3rd pillar pension plan Dinamika +60 in 2016 was recognized by IPE Real Estate Global Awards as the best real estate investor in Eastern Europe and several major Western European countries. ZGI Capital is one of the most experienced managers of venture funds in the Baltic States, which started operations in 2005. Investment periods were crowned by three generations of funds: ZGI-1, ZGI-2, ZGI-3 and the next-generation venture capital fund ZGI-4. ZGI Capital was awarded an annual award by the Latvian Private and Venture Capital Association for four years – in 2014, 2015, 2016 and 2017. ZGI Capital is the manager of alternative investment funds registered by the Financial and Capital Market Commission (FCMC). ZGI Capital receives award "Exit of the year 2017"
ZGI Capital received the LVCA's award Exit of the Year for sale of company Art Fairs Service. Successfully implemented strategy allowed to achieve the goals and resulted in a fruitful exit. Tradition of the “Investor of the Year” award was introduced in 2015 as a result of the cooperation of the Latvian Private Equity and Venture Capital Association (LVCA) and the Latvian Business Angel Network (LatBAN). The goal of the initiative implemented by LVCA and LatBAN is promotion of the investment sector development in Latvia by expanding the network of investors. Through identification and popularisation of the most successful investments of the year, the organisers would like to draw attention to the significance of the comparatively new sector in Latvia in supporting the viable projects. ZGI Capital joins discussion: Will Riga be a startup city? On 16 November 2017 a contract was signed for the creation of a new venture capital fund “ZGI-4”, which will be managed by venture capital fund manager “ZGI Capital”. Currently, the fund is engaged in attracting private funding to start working on the first fund investments in summer of 2018. Venture capital fund ZGI-3, which is managed ZGI Capital, has sold its 28% stake in the exhibition services company Art Fairs Service. The company was registered in the spring of 2014, and turned to the investment fund seeking financing necessary for buying equipment. The company has successfully found a niche for itself thanks to innovative technical solutions and original logistical and workflow organization procedures. It enabled the Latvian company to compete with similar companies abroad, which had been in the business for years. It proves that, even in such a seemingly traditional business as organization of and providing equipment for exhibitions, innovative approach can lead to success. The company has been steadily expanding into new markets. In 2016, Art Fairs Services organized exhibitions in Belgium, Sweden, Netherlands, Germany, Italy, Great Britain, Denmark, Spain and Latvia. Exports account for 99% of the company’s turnover. Art Fairs Service is planning further growth on European markets and also expand into Middle East by employing new business models. Art Fairs Service earned high marks in the Investment and Development Agency of Latvia’s Export and Innovation Award competition 2016, category Best Exporter, and in the Latvian Export Product 2014 competition organized by the Export Council of Latvia. Today, 26 January, the most successful Latvian investors of 2016 were awarded for contribution in the promotion of their industries in Latvia during the ceremony “Investor of the Year ‘16”. The “Investment of the Year” award in the sector of legal entities was presented to the fund management company “ZGI Capital” for investment in the mobile payment services company “Mobilly”. The “Investor of the Year” award was organised for the second year by the Latvian Private Equity and Venture Capital Association (LVCA) and the Latvian Business Angel Network (LatBAN). “The year 2016 was a productive year in the sector of private and risk capital. The members of the LVCA have made over 50 investments, providing financial support in the amount of more than 15 million euros to companies operating in different industries. I would like to stress that the contribution of other professional participants of the market, lawyers and financial specialists, is also of importance. This is a joint action resulting in the growth and development of the Latvian investment environment. All the winners of the “Investor of the Year ‘16” award in the sector of legal entities are visionaries of our industry whose working results and contribution we can assess with the mark of the top quality,” said Edgars Pīgoznis, Chairman of the Board of the LVCA. This year the Forum will be centred on such “hot” areas as Robotics, FinTech, Life-Sciences and Agritech. The Baltic M&A and Private Equity Forum has become the main networking event for the industry and market participants interested in the region. It welcomes representatives from among private equity and venture capital funds and investment banking, consultants, lawyers, investors, and other representatives of the financial sector, as well as business executives and owners. The Forum offers a platform for establishing new contacts, sharing experience, finding new business opportunities and spending time with peers. 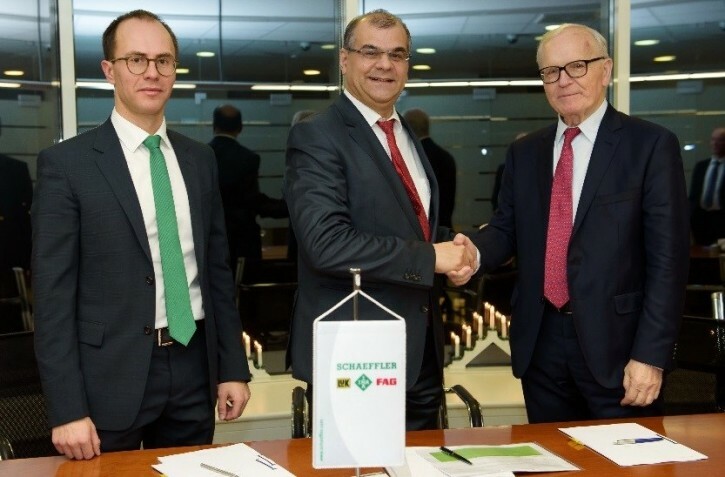 The Schaeffler Group has acquired Latvian company “SIA Naco Technologies” in Riga. Naco Technologies has unique expertise in the development of new coating systems. Schaeffler is the market leader in functional surface technology in several market segments. Acquiring this highly innovative service provider will help strengthen Schaeffler’s core expertise in this technology of the future. The start-up company “SIA Naco Technologies” was founded in Latvia’s capital in 2010 with the support of “Commercialization Reactor Riga”, an agency and marketing platform for science-based young businesses. As just one example, the specialists from Latvia have developed what is currently the fastest process for physical vapor deposition (PVD). This technology will complement and further optimize Schaeffler’s high-tech vacuum facilities for PVD and plasma-based PACVD processes that are used in high-volume production. Naco currently has six employees. Prof. Peter Gutzmer, Deputy CEO and CTO, regards this acquisition as a strategic addition to one of Schaeffler’s key competencies. In addition to product and technology expertise, Schaeffler thus also expands its industrialization and value added competencies in surface technology, securing the entire knowledge about this key technology in-house. Schaeffler carries out coating at over 20 locations around the world in more than 50 modern coating machines using a range of methods and technologies, such as spraying and painting procedures as well as chemical and physical processes such as PVD/PACVD. Several million parts with added value through coating technology were delivered from the plants of the Schaeffler Group last year. The Schaeffler Group is a leading global integrated automotive and industrial supplier. The company stands for the highest quality, outstanding technology, and strong innovative ability. The Schaeffler Group makes a key contribution to “mobility for tomorrow” with high-precision components and systems in engine, transmission, and chassis applications as well as rolling and plain bearing solutions for a large number of industrial applications. The company generated sales of approximately 12.1 billion euros in 2014. With more than 82,000 employees, Schaeffler is one of the world’s largest technology companies in family ownership and, with approximately 170 locations in 50 countries, has a worldwide network of manufacturing locations, research and development facilities, and sales companies.